Tensions between Coptic Christians of Jerusalem and Israeli occupation forces poured into the streets today during a protest against the Israeli government’s decision to deny the church the right to conduct needed renovation work inside the holy site. 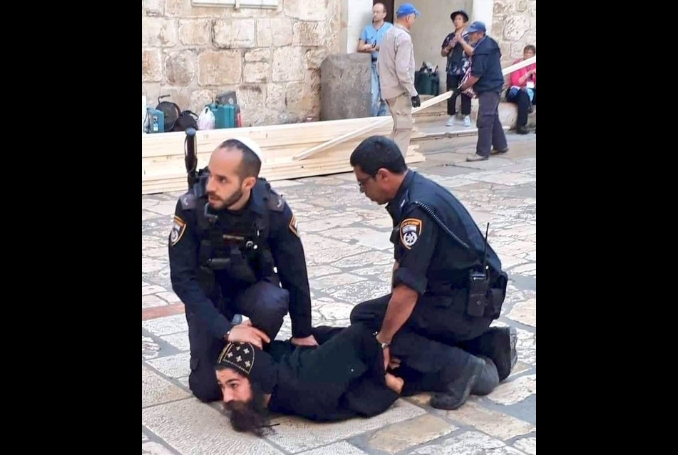 Local sources reported the incident saying Israeli forces and police assaulted several Coptic Orthodox priests in front of the Church of the Holy Sepulchre, in the Old City of occupied East Jerusalem, and forcefully detained one of them. The assault by Israeli occupation forces started after the Church organized a peaceful protest near Deir Al-Sultan Monastery, located on the roof of the Church of the Holy Sepulchre, against an Israeli decision denying the church the right to conduct essential repair work and renovation. Israeli official’s sparked angered after aggravating the already sensitive issue by conducting unauthorized renovation work for the Ethiopian Coptic Church section without the approval of the Coptic Orthodox Church. Palestine News Network citing local sources reported that the Israeli forces suppressed the protest and attacked a number of priests and participants before arresting one of the priests. 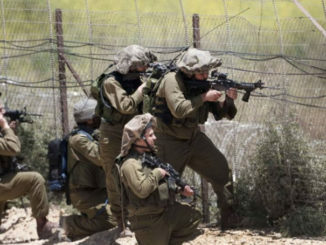 Eyewitnesses said that Israeli soldiers and police officers surrounded the priests who were protesting, before assaulting and pushing them with excessive use of force, causing them several injuries, Ma’an News Agency reported. Witnesses added that the Israeli police forcibly removed the priests and detained one of them, before allowing the Israeli municipality workers into the holy site. 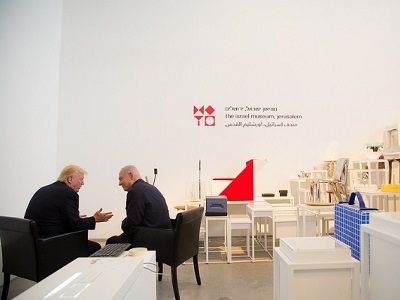 The attack on Coptic Christians over this renovation project is likely to be viewed as another sign of Israeli attempt to expropriate Christian sites. Relations between leaders of the three main churches in Jerusalem and Israel soured last summer after a draft bill was presented to the government that proposed to expropriate church land in the Holy City.